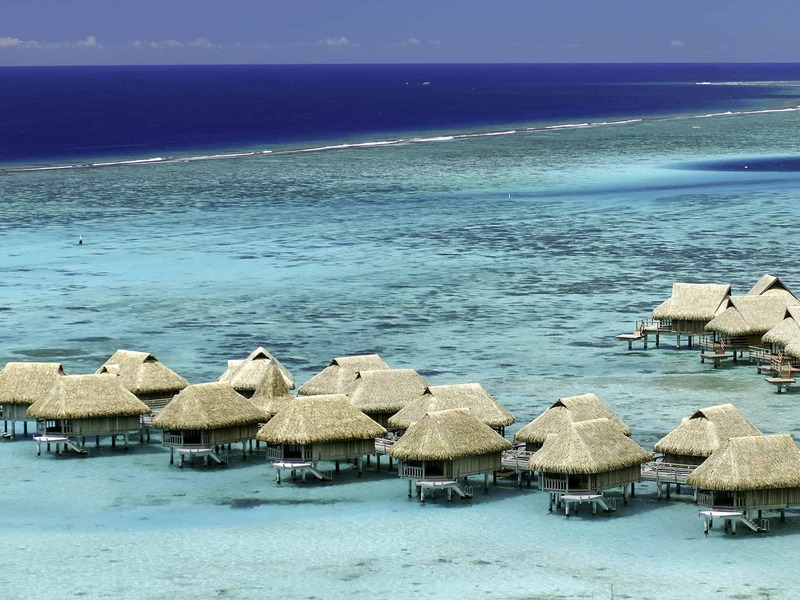 Settle on the edge of a magnificently turquoise lagoon and marvel at the oceanic views leading to the distant silhouette of Tahiti. A tropical wonderland of lush green rainforests, magical lagoons and awe-inspiring mountains rising out of the Pacific Ocean. 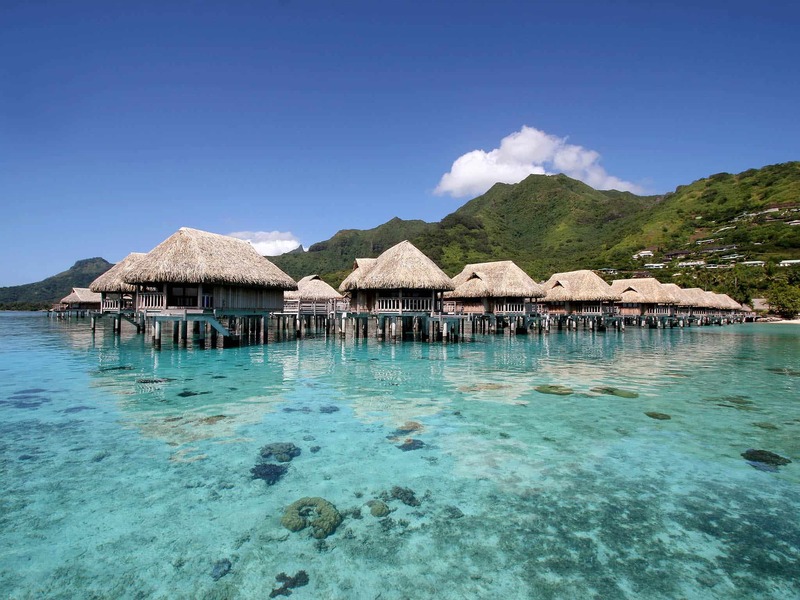 Moorea is the ideal destination for couples, with a wide range of exciting activities on hand. If you get tired of pure relaxation then you can dive, sail, wander through the pineapple fields or try the local Polynesian cuisine. 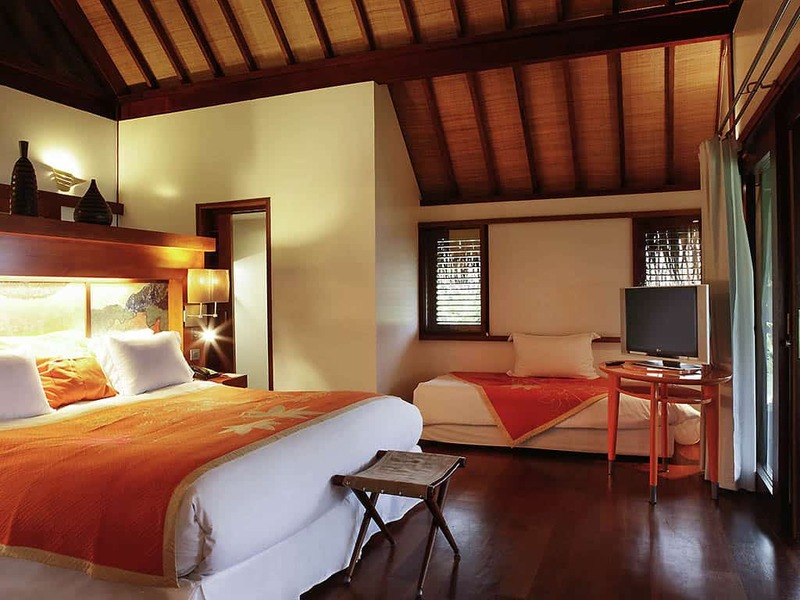 A garden view terrace bungalow with king sized bed or two twins available on request. 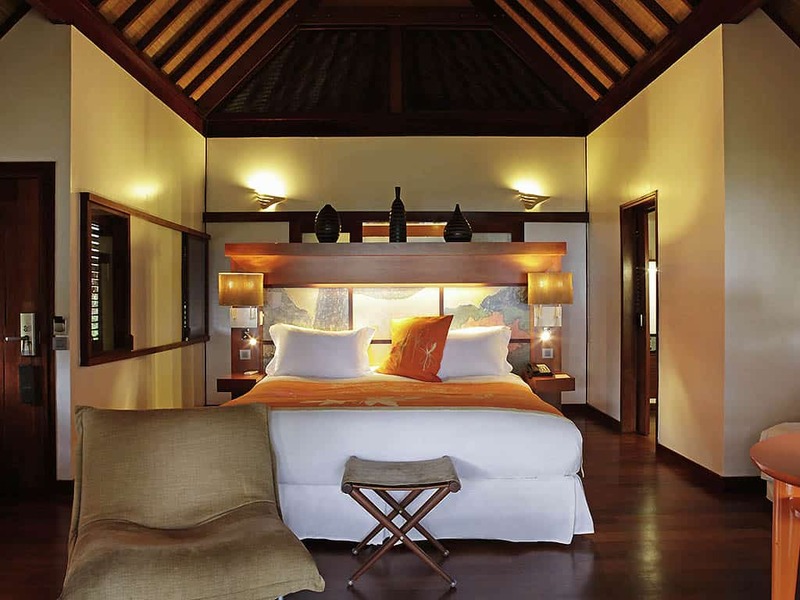 A lagoon view bungalow with a terrace and King sized bed, or two twins on request. 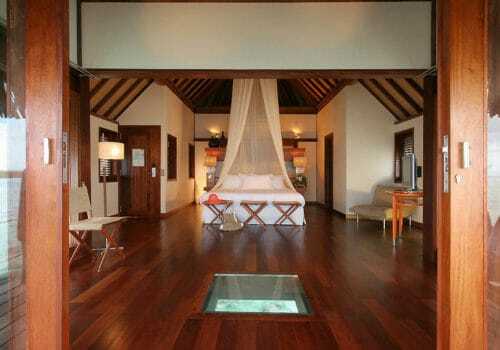 A luxury bungalow with a lagoon view, direct beach access, terrace, and a King sized bed or two twins on request. 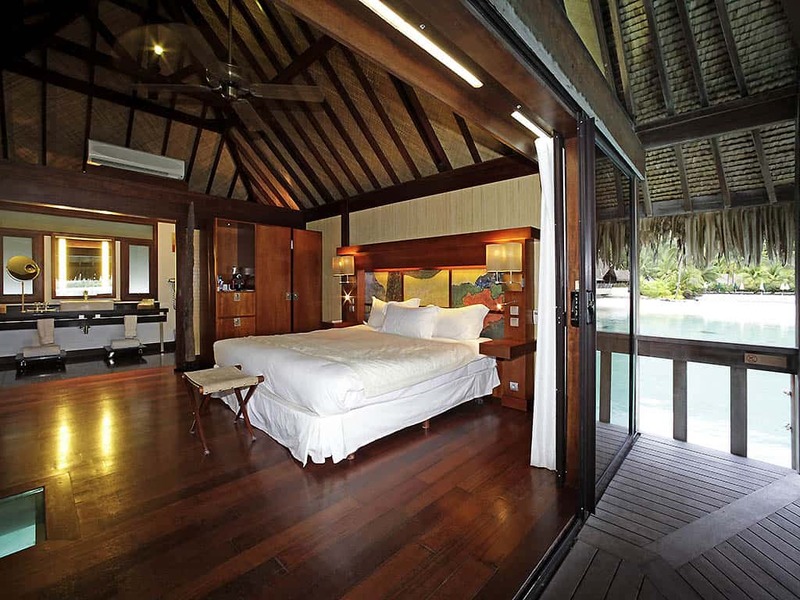 A bungalow with direct lagoon access, terrace, a king sized bed and twin beds on request. 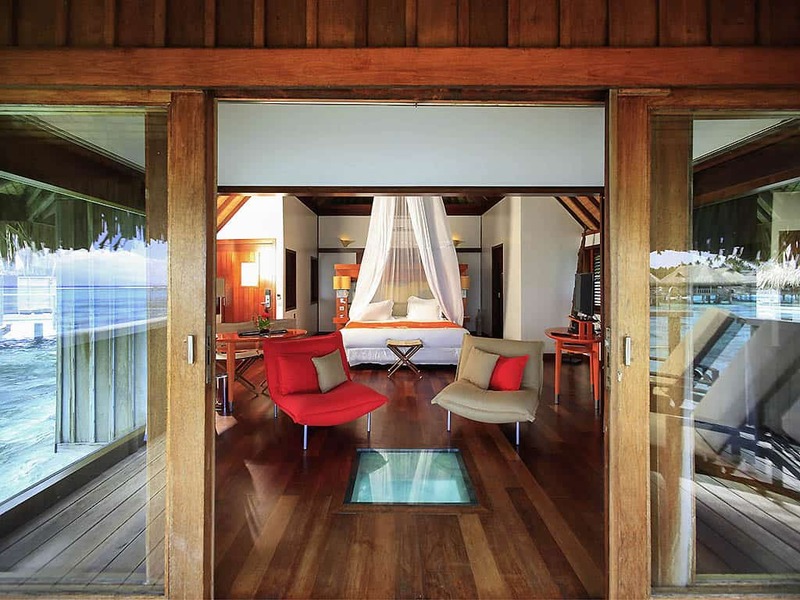 An overwater bungalow with direct lagoon access, panoramic lagoon views, and in-room club benefits, and a floor water viewing window. 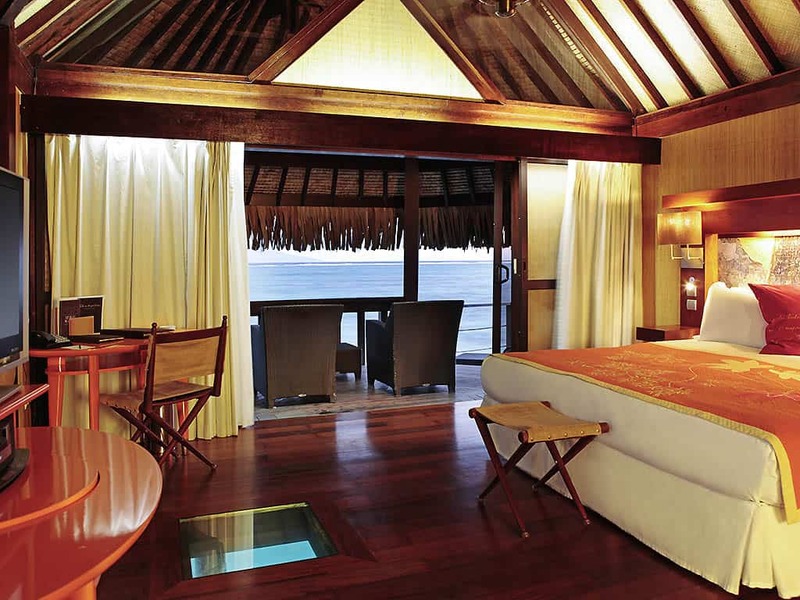 Direct lagoon access, in-room club benefits, a king-sized bed, and a floor water viewing window. A luxury villa with panoramic lagoon views, a terrace, and outdoor whirlpool, sundeck, direct beach access, club amenities, wine cellar, and a rain shower. 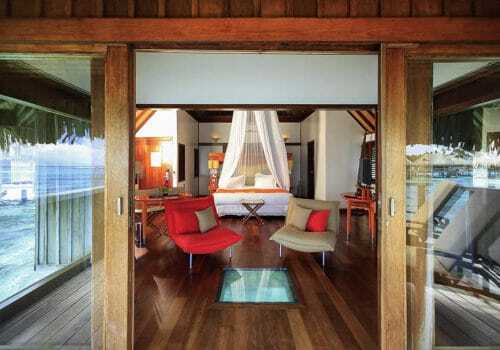 The resort features 112 luxurious bungalows built over the water, on the beachfront or surrounded by landscaped gardens. 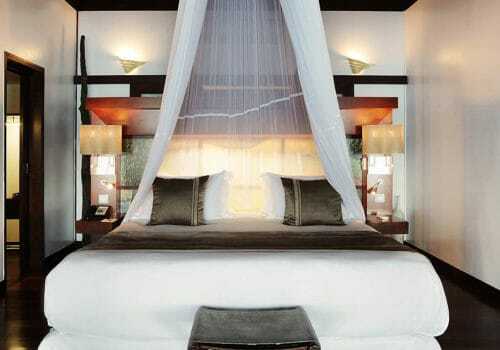 Facilities include two excellent restaurants, a bar, a fabulous outdoor swimming pool and day spa. 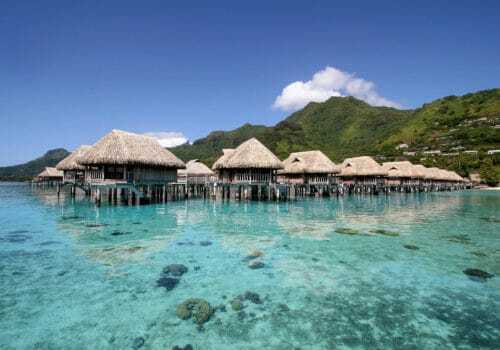 Moorea has one of the world’s most beautiful beaches, and a variety of non-motorised water activities or scuba diving can be arranged for guests. 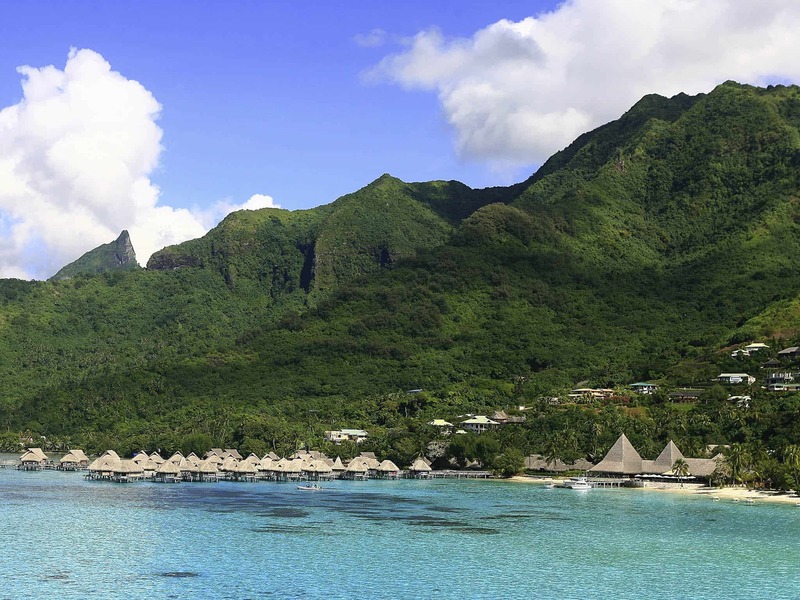 Moorea is just a quick 10-minute flight from the main island of Tahiti, or less than an hour by ferry. 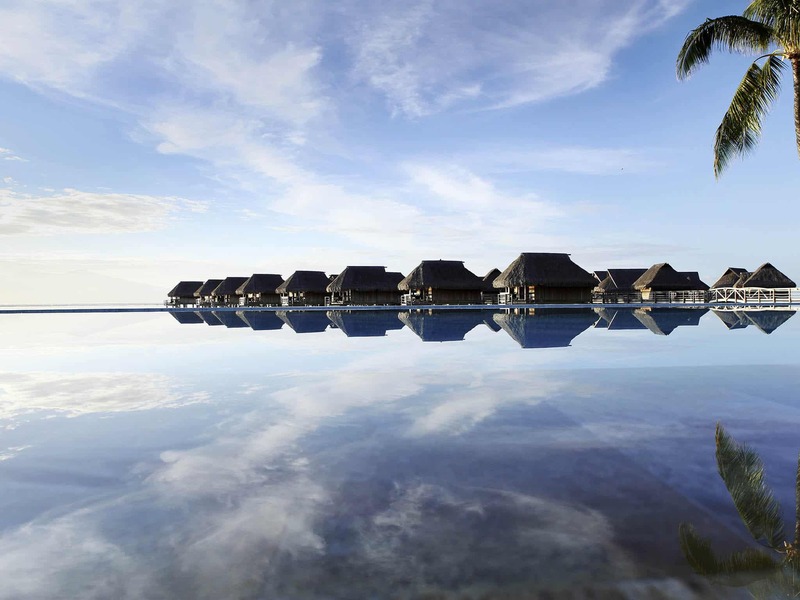 K restaurant offers a mythical sight of the lagoon and of the island of Tahiti. Enjoy the world class cuisine of Chef Guillaume Burlion in an intimate and romantic setting. Set in a contemporary decor, Pure enables you to enjoy your meal in a relaxed ambience while contemplating the panoramic view on the lagoon and the island of Tahiti. Facing the lagoon and the swimming pool. 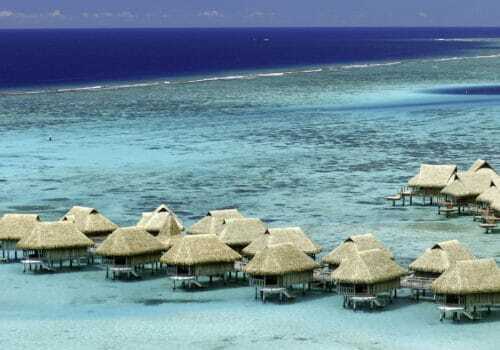 Polynesian atmosphere. Exotic south Pacific cocktails. The largest selection of liqueurs in French Polynesia. Snacks, ice cream counter. Weekly entertainment. Located on the longest white sand beach of the island facing a unique view on the protected lagoon and the island of Tahiti, the Beach Bar offers cocktails and snacks.